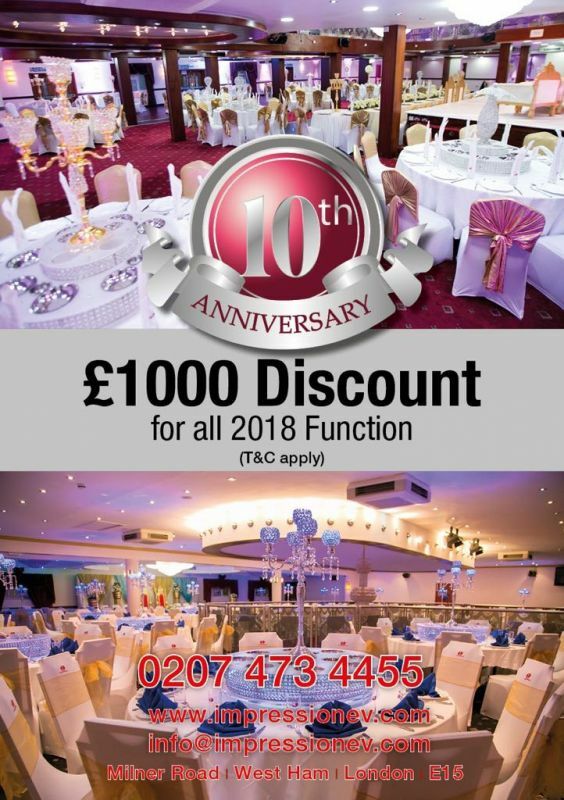 £1000 DISCOUNT ON VENUE HIRE Located minutes away from the Olympic Park. close proximity to tube and mainline rail stations. Impression Events Venue offers grandeur and finesse fit for all occasions with a fresh, modern and contemporary environment.